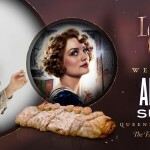 ‘Fantastic Beasts’ Star Alison Sudol Joins LeakyCon Lineup! That’s right, not one, but TWO Fantastic Beasts stars have been announced for LeakyCon 2018 in Dallas – the latest being Alison Sudol (Queenie Goldstein)! Sudol will be giving autographs and photograph sessions (plus a group photo session with Dan Fogler) at the event, taking place 10th-12th August at the in Dallas, Texas. 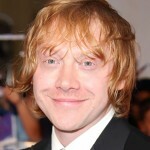 The amazing lineup also includes Christian Coulson (Tom Riddle), Louis Cordice (Blaise Zabini), Scarlett Byrne (Pansy Parkinson) Devon Murray (Seamus Finnigan), Chris Rankin(Percy Weasley), Stan Yanevski (Viktor Krum), Ellie Darcey-Alden (Young Lily Potter) and Luke Youngblood (Lee Jordan). Harry Potter podcasts PotterCast, MuggleCast and Harry Potter and the Sacred Text will be in attendance, as well as Wizard Rock Bands The Mudbloods, Tonks and the Aurors, Draco and the Malfoys, Lauren Fairweather, The Whomping Willows and headlining act Harry and the Potters.Team Starkid will also return to the event! Tickets for this event sold out in a matter of hours, however, LeakyCon recently announced a dual celebration for its ten year anniversary in 2019. LeakyCon will return to Dallas August 9-11 before heading back to Boston where it all began for LeakyCon 10 October 11-13, 2019! Tickets for Dallas 2019 went on sale August 1, and tickets to Boston 2019 for the tenth anniversary celebration will go on sale September 4, 2018 at Leakycon.com. Will you be at the event this year? Let us know!